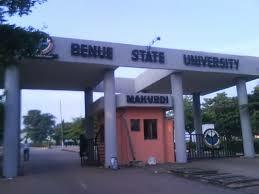 The Benue State University, Makurdi [BSUM] School Fees Payment Deadline Notice to all Fresh Undergraduate Students for the 2017/2018 Academic Session. This is to inform all the newly admitted students of the Benue State University (BSU) that the management has announced the deadline for payment of school fees for the 2017/2018 academic session. All the newly admitted students of the Benue State University are expected to pay their school fees on or before Wednesday, 16th May, 2018. Students that do not pay their school fees at least a Semester, before the deadline should be prepared to forfeit their Admission. All first year students are therefore, enjoined to take this notice seriously as the University will not extend the Deadline.